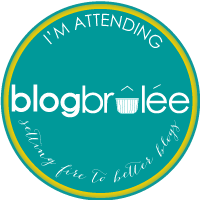 My attendance at the Blog Brûlée is partially funded by Sponsors of the Blog Brûlée, and I received a discounted registration to the event in exchange for writing this post. Opinions expressed are my own. I was not compensated for my time. Blog Brûlée is an invitation-only, exciting, experiential weekend in the mountains of Vermont the weekend of September 12 – 14, shared among a small, intimate number of healthy food bloggers and Registered Dietitian bloggers. The event is designed to provide education and professional development opportunities, as well as a forum for discussion and relationship building surrounding topics such as blogging and social media best practices, fundamentals of food photography, communication and marketing strategies, community niche development, brand identity and monetization. Words cannot describe how excited I am that this weekend is finally here! I was elated and honored when I found out months ago that my application had been accepted to attend the first of this one-of-a-kind blogging conference. Why am I so excited? Let me count the ways…. The 4 founders, Regan Jones, Gretchen Brown, Deanna Seagrave-Daly and Robin Plotkin, are amazing women and dietitians, whom I have long admired. They are each incredibly talented writers, food photographers and recipe developers for starters. All of the educational sessions and opportunities for hands-on experience are exactly what I need! In addition to the founders, more amazing dietitians and bloggers such as the Meal Makeover Moms, Anne Mauney and EA Stewart will be sharing their wealth of knowledge and experience. I am really looking forward to the camaraderie and networking with 19 other like-minded healthy food bloggers. While I know quite a few of the other attendees through social media or have briefly met at other conferences, I’m excited to see them all in person and get to know them better. This is perfect timing as I’m getting ready to launch My Menutrition with my partner, Lesley Baradel. I am getting an opportunity to start fresh on a new site that I am extremely passionate about and armed with even more knowledge than I did when I started this blog to really take it to the next level. Vermont in September, sign me up! The weather forecast is looking great and I’m ready to escape the Atlanta heat for a bit. Rumor has it there will be cheese, chocolate and wine involved. Need I say more? And I’m sure there are many more reasons that I’m forgetting at the moment in my excitement. Did I mention I’m excited? I’ll be anxious to share what all I’ve learned, but more importantly, show you what all I’ve learned when My Menutrition launches later this month.